"Croeso cynnes i teithwyr y byd" - A Warm Welcome to the Travellers of the World. Our family farm is situated in the beautiful Conwy Valley, on Snowdonia's doorstep, between the mountains and the sea. Our family has farmed here for 3 generations. Welsh Black cattle and mountain sheep graze the long meadows down to the salt marshes which fringe the banks of the Conwy river, in the heart of North Wales. 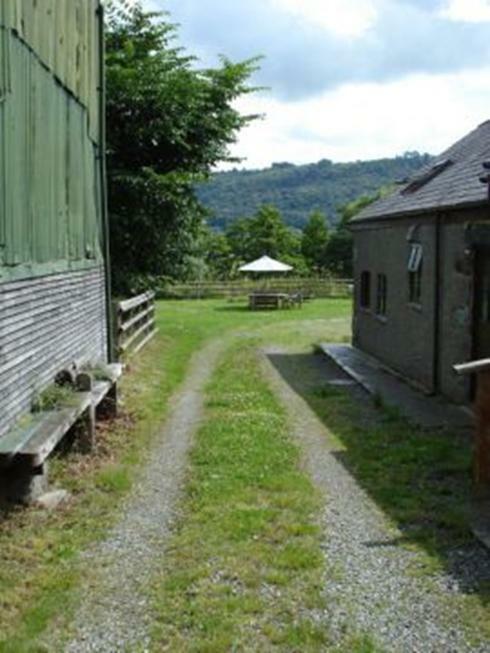 The Backpackers Barn is a well established farm diversification which provides clean, cosy and affordable accommodation on an organic farm. The bunkhouse sleeps upto 20 in dorms of four, six and 10. Attached to the bunkhouse is a shower block followed by a well equipped kitchen, then on to the large lounge with dining area, featuring central heating, log fire and fire alarm system. Have a BBQ in the garden or a campfire by the stream - if you'd like any further information with regards to our facilities, please get in touch. We can safely store bikes, kayaks, surf boards and any other leisure equipment you may bring - walkers, surfers, canoeists, backpackers, cyclists & bikepackers are welcome. We also have plenty of parking space. As well as the barn, we offer a self-contained 16th Century stone cottage, which makes for a memorable and unsurpassable summer or winter break-away. This special place is a haven for honey-mooners or for those in search of peaceful, spiritual regeneration. We accomodate tent and caravan campers, too.